iQuanti, Inc. was founded to deliver on the promise of high performance digital marketing​. They differentiate themselves through cutting edge analytics, a robust proprietary tool-set and a strong record of delivering results. ALPS is a powerful prioritization software product designed to fuel every channel of your brand’s SEO strategy. ALPS optimizes the site (SEO) around effective keywords that drive relevant traffic to maximize conversion. It is powered by an analytics driven keyword prioritization engine, a traffic estimator and testing platform for pre-launch simulation & refinement. iQuanti's Conversion Rate Optimization service offers end-to-end roadmaps that maximize acquisition opportunities with every user engagement. iQuanti offers Display & Paid Media campaigns that effectively support your brand identity, delivering targeted acquisition-focused campaigns across channels. iQuanti's Enterprise SEM service is performance-based search engine marketing that establishes audience connections & drives conversions, featuring end-to-end search targeting and spend optimization. Enterprise SEO is an acquisition-focused enterprise SEO service that’s designed for today’s agile brands. Hypothesis-driven mean value theorem (HMVT) is a framework to methodically test & optimize webpages. Analyzing gaps between search intent & landing page message helps to develop a hypothesis-based test plan. iQuanti's rapid deployment platform allows teams to respond to market feedback in a short duration. iFuturist is a trend prediction tool that works on keywords, content and timing. iFuturist uses advanced algorithms & data mining techniques that allow it to create content ideas & project traffic. This in turn helps to keep your campaign well ahead of the curve. iVdYo manages video inventory & distribution into several video & social destinations. The tool has capability to test recommendation impact before implementation, thus saving time & cost. iVdYo is built on statistical methods & a model-based approach. Using the available platform tools and independent approaches, iQuanti's MRE tool can leverage analytics-driven creative optimization across placement, format, and platform per campaign. Advanced A/B & multivariate testing means optimization that drives efficient spend and maximum yield. Quality Score Model (QSM) improves cost per click (CPC) for your search spend. Utilizing two proprietary algorithms, Qscore and Mscore, it improves your search ad quality through tackling ad relevancy, landing page relevancy, and click through rate (CTR). 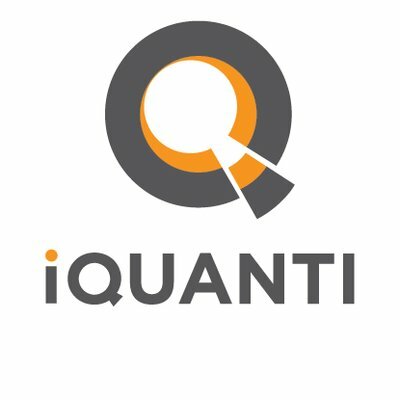 iQuanti's Web Analytics service offers robust search analytics designed to fully align your SEO with your brand goals, powering growth through data science, modeling and acquisition analysis.